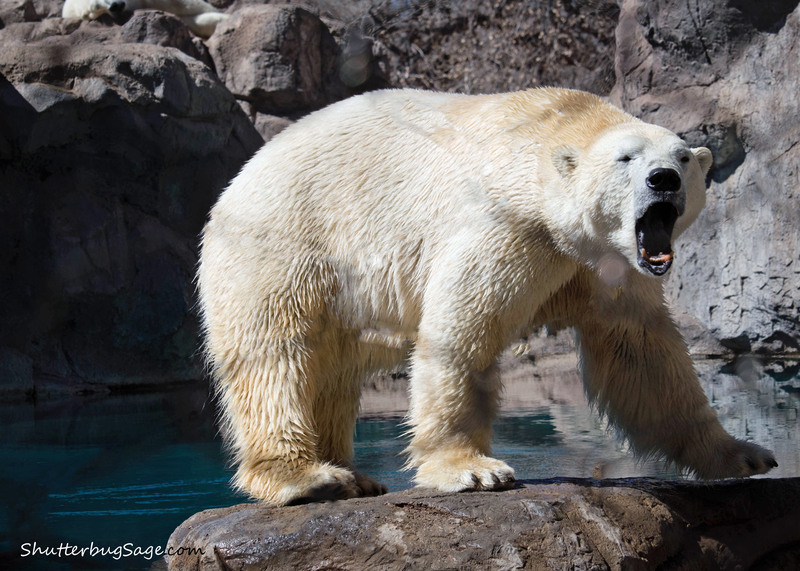 While we do adore Berlin, the polar bear at the Kansas City Zoo, it was fun meeting twin brothers Kiska and Koluk at the Albuquerque BioPark Zoo in New Mexico over Spring Break. One of them acted like an 800-pound pet dog, tossing a toy across the Inukshuk Bay enclosure, sliding down into the water, and retrieving it. Polar Bear Photo #1. Kiska and Koluk have a 20-foot water slide, air-conditioned ice cave, waterfalls and a 14-foot-deep pool in their Inukshuk Bay enclosure. Polar Bear Photo #2. The polar bear twins at the Albuquerque BioPark Zoo in New Mexico will celebrate their 20th birthday in November. 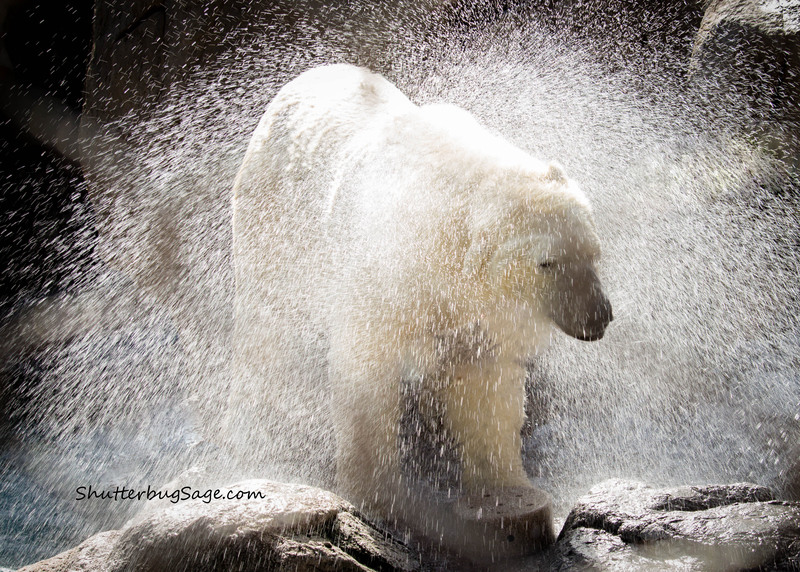 Polar Bear Photo #3. 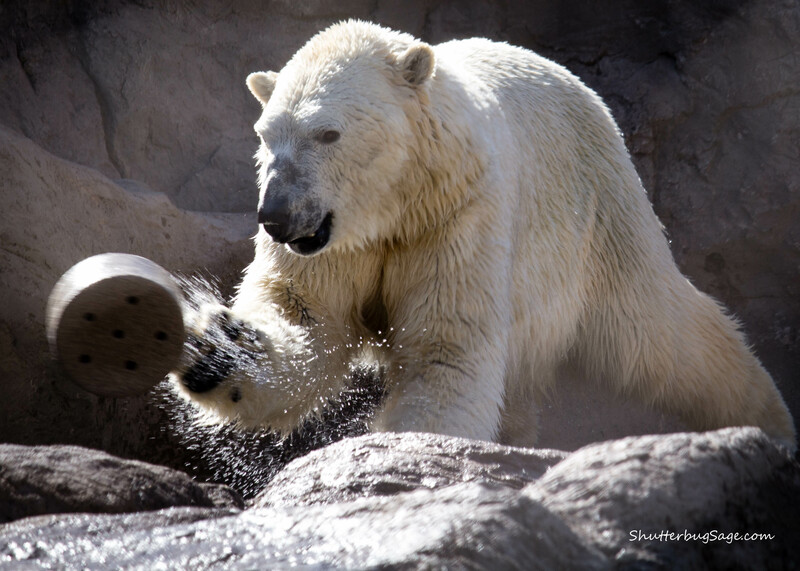 After retrieving the toy that he tossed into the pool, the polar bear twin shook off like a dog after a bath.